Why was Napoleon Hill focused on helping people develop wealth? | Sarder TV – Learning Ideas. You are at:Home»Business»Why was Napoleon Hill focused on helping people develop wealth? 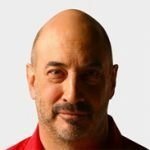 Jeffrey Gitomer talks about Napoleon Hill’s famous book, Think and Grow Rich that was published in 1937. According to Gitomer, Hill was all about wealth and he believed that with the right thoughts and attitude wealth will follow. Gitomer provides his own thoughts on what we can learn from Hill’s teachings. Previous VideoNapoleon Hill talks about the importance of imagination in becoming successful. What is he referring to? Next Video How does having character, sincerity & self-confidence increase the opportunity for improved sales?